Crafted with vivid color and burnished to a rich, warm patina, the 11" Deputy boot in Tan from our Hero Collection, makes a commanding impression. It features a removable orthotic insole to provide a supportive, comfortable surface for the foot, and it's finished with a square profile toe and 1 1/8" tapered heel. I have had these for a few days now and they are great. The fit and comfort is unbelievable, but then again they are Nocona’s love the rubber sole they grip the ground really well, already put some waterproofing on them to get them ready for the NW Indiana weather. If you want a awesome Boot to wear everyday for everything you do this is the boot for you. Thanks Nocona keep up the great work. Just received my pair yesterday and they are great, I put them on and the fit was right on and the comfort was unbelievable. I really like the soles being that they are a rubber sole I think they will last a long time. If you want a great fitting boot this is the one for you. 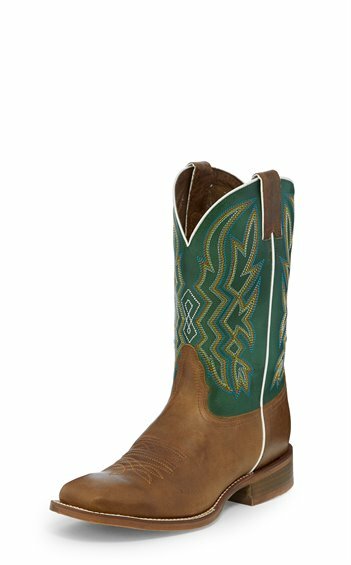 Keep up the excellent work Nocona Boots.